October 10, 2017 – CAPACOA held its Annual General Meeting on the third of October using web conferencing technology. Existing board members received renewed mandates and Cynthia Lickers-Sage was elected as new member of the Board of Directors. Cynthia Lickers-Sage is a Mohawk, Turtle Clan visual artist from Six Nations. Following her graduation at the Ontario College of Art and Design she Co-Founded The Centre for Aboriginal Media, imagineNATIVE Film and Media Arts Festival and is the sole proprietor of Clickers Productions. She has spent the last two decades working in the not-for-profit arts sector as the former Executive Director at the Association for Native Development in the Performing and Visual Arts. 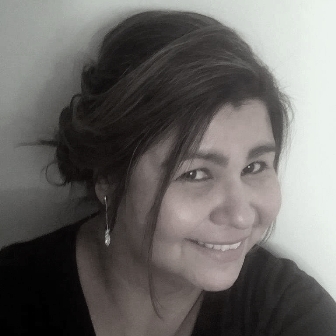 She has worked within the governmental sector at the Ontario Arts Council (Acting Aboriginal Arts Officer & Community and Multidisciplinary Arts Officer) and the Canada Council for the Arts (Flying Eagle Coordinator). Cynthia also currently serves on the board of directors for Ontario Presents and has served on a variety of volunteer boards and arts service organizations, including Dance Ontario, Aboriginal Education Council at OCAD, Planet IndigenUS Advisory Committee , Cultural Human Resources Council of Canada, National Aboriginal Network for Arts Administration, Kakawekwewin (Aboriginal advisory committee to the Canada Council for the Arts), Toronto Arts Council, Aboriginal Peoples Television Network, 2013/2014 Dora Mavor Moore Dance jury member, Cultural Careers Council of Ontario and is the proud recipient of the Toronto Aboriginal Business Association's - Aboriginal Business Women and the Year award.